The Arizona Cardinals had a very strong 2013 season, going 10-6, but narrowly missing the NFC playoffs. The team grew into one of the best teams in the entire NFC, unfortunately, they are in a division with the San Francisco 49ers & the Seattle Seahawks. Arizona Cardinals CB Patrick Peterson is one of the most dynamic, all-world players in the entire NFL on defense & on special teams. From top to bottom, the Cardinals are absolutely stacked on both offense & defense. On the offensive side of the ball, quarterback Carson Palmer, even though he is older than Moses at this point, has been an elite passer in the league for the last couple of seasons, even though there aren’t any playoff victories to show for it. Palmer is a quarterback that can lead a young team into a game & you can count on him to not turn the ball over. At the receiver position, the Cardinals have one of the best players of this generation in Larry Fitzgerald, who is playing at the highest level that he has ever played, including the Cardinals run to the SuperBowl in 2009. Fitzgerald has help around him now in the constantly developing Michael Floyd, a 6’5″ receiver who can be that big target who can go up & make plays & help to make sure the defense is playing honest without double teams on Fitzgerald. Running back Andre Ellington is penciled in as the starter, but expect that position to be a 3-headed monster with Ellington, Jonathan Dwyer & Stephan Taylor all getting quite a few reps, especially with Bruce Arians coaching & believing in a balanced offensive attack. The team has a dynamic offensive threat in Ted Ginn, who is one of the fastest men in the entire NFL, as a possible slot receiver & at times, a kick & punt returner. As long as Palmer can stay healthy & be able to get the ball out with decent offensive line protection, the Cardinals have enough offensive weapons to stick with the 49ers & Seahawks. From the defensive side, the Cardinals have arguably the best defensive unit in the entire NFL. On the defensive line, Darnell Dockett is a big time disruption force & has the ability to make the defense gameplan against them. The linebacking core is amazing with Shaughnessy, Larry Foote, John Abraham, & Kevin Minter. 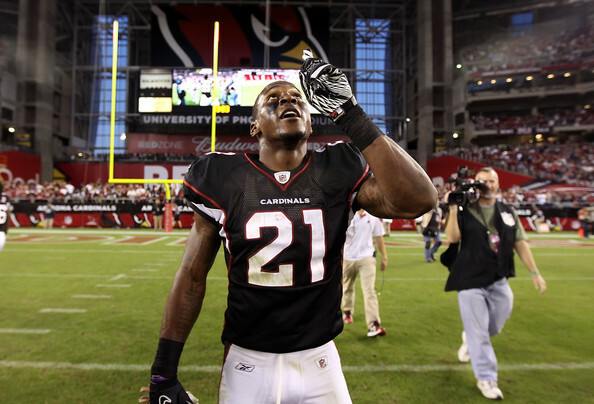 Where the Cardinals might be better than any team in the NFL – including the Seahawks – is in the secondary, with Patrick Peterson, Tyrann Matthieu & newly acquired Antonio Cromartie. The Arizona Cardinals secondary is good enough to win games on their own & can lock down any offensive unit in the entire NFL, at any time. With that strong defense, the Arizona Cardinals will be the third team out of the NFC West to make the playoffs next season. It should be with a 10-6 or 11-5 season, but it just shows how tough that division is, & for that matter, the NFC as a whole.